I am a self-published author (through Createspace) of six novels. In Search of Grace, Dragan’s Redemption, Aaron's Revenge, The Legacy, Kelly and the Angel, The Turning Point. I am no longer considered a newbie to the publishing world and I am happy to say that I have already exceeded my personal expectations in sales and am extremely happy where I am to date as an author. I know that other self-published authors have made the decision to pay to have reviews written in an attempt to boost sales. I personally choose not to go that route even though I find the idea intriguing from a marketing standpoint. I received a review from someone (they gave me 2 stars) that made absolutely no sense. (I have had one star reviews that didn't bother me like this one) This persons wording was not just about my writing but about me. This review bothered me for awhile, because it seemed "personal". An author friend told me that it felt personal because it was and more than likely it was someone that knows me and does not like me. This was their cheap way of hurting me. I pondered this a long time and finally had to agree. The 'reviewer' had no other reviews on any other book, only mine. This review made me realize that everyone has an opinion and not everyone is going to like my work, or me for that matter. I also realized that I am okay with that and will not allow someones opinion to dissuade me from writing. (Especially since I am getting paid for writing.) I also realized I need to quickly get a thick skin. There are readers out there that can be cruel just to be cruel. Another reviewer, in fact, had done many reviews, and every book she read, it was given no higher than 2 out of 5 stars. Instead of taking it personally, I started to wonder about the person that did the reading and whether or not any book would meet higher than a 2 star for this person. So, to answer the question as to whether or not you should read the reviews? My answer is yes and no. For the yes side, it is a chance to connect with what some of my readers are thinking. There are some readers that actually have given great advise and encouragement and my writing style has changed because of their reviews and thoughtful advise, These are the reviews I am grateful for. They are the ones that like the storyline, and take into consideration that the author (such as myself) is doing it ALL, from editing to marketing to the actual writing. They are honest yet their ratings are kind. I like kind. For the no side. If you, as an author, are going to live or die by a review and you could possibly stop writing because of a bad one.....then STAY AWAY from the comment/review sections. Many of us write because it is as natural as breathing and to be without a pending story is a slow painful death into oblivion. There is no review on this planet that would stop me from writing - I hope you feel the same. No, my friend, not even close. Somehow, you need to have your unknown book visible to the masses, amongst the millions of books out there. How do you do that? I have no earthly clue, BUT what I can tell you is what has worked for me through trial and error (and yes, spending money). How Facebook Paid Advertising works. I wrote a post on my Author page. (Yes, you should have an Author’s page on Facebook so your fans can find you easily). There was a button that asked if I wanted to boost my post, which I said yes to. After clicking on the link, I was brought to a great page that, then asked me to choose my audience. I now needed to choose Age/Gender/Interests. - This was easy for me. My audience tends to be woman between 28 and 55 years of age who like to read romance, paranormal novels. Step 4: It gave me the estimated number of people I would reach, and then recommended narrowing my target audience. This is where I needed to play around a bit to find out what worked for my genre. Step 6: Here I found the all important payment information. I use Paypal, so this was easy and I did not have to enter any more personal information than needed. That was it. I then had to wait for my “ad” to be approved, which took about twelve hours for my first marketing boost and thirty minutes for the second. I found out that I had visible access at all times to the number of people reached and to the number of people that clicked on my post. My friends, I did not get one CLICK. Thinking it HAD to be me; after the Facebook marketing campaign ended, I tried to run another one, changing it up a bit by using a different novel, higher budget and clearer wording. I ended up with the same results. Facebook marketing was a huge failure for me. On a positive note – It did not cost me anything. Second: What worked for me. There are many opinions on using KDP Select by other authors. I have since stopped listening to them all and decided to test it out. I have run several campaigns with okay results; meaning that I have given away some free copies, which got my book and name out there, and did have an up tick in sales. This time I decided to try something different by using digitalbooktoday.com to help get the word out there to readers. Currently I have six published novels. The book I chose this week to run a free promotion is In Search of Grace, a romantic suspense story. I spent a long time on the Digital Book Today website familiarizing myself with my many options. I choose Option 11: Be A Featured Free Book with a total cost of $30.00. (Pretty excited that this was less than my Facebook budget, but not entirely confident this is going to work.) I decided to continue with the process anyway. That was it. Two steps. Now, I am really nervous and feel I may have wasted thirty dollars. It was too easy. The day my “ad” was run on Digital Today, I received an email, stating that Your Featured Free Book promotion for your free day is up and running. No more than 30 minutes later, my free books number was moving quickly on Amazon. I am day 2 in my KDP Select Campaign. In Search of Grace has reached #15 in the Kindle Store Romance/suspense category and #69 in the top 100 Kindle free store. If you have ever done a free promotion, you know how hard this is. I have one more day of the free promotion and I have already “given away” 3486 copies. As of this moment, I consider this promotion a success. Readers are learning my name. Now it is up for my story to hold up its end of this marketing journey. I will let you know how it goes. Who hasn’t spent this last year falling in love with Amira, Dragan and Aaron? Or maybe you got drawn into Alex’s world In Search of Grace? This rural Maine woman comes from a large family, and is the seventh child of ten siblings. At the very young age of five, life threw her a curve ball. She was separated from her family. All of her siblings except for three were sent to foster homes including her. The day after she graduated from High School at the age eighteen, she hopped on a Greyhound bus headed to Boston, Massachusetts and never looked back. She worked her way up from being a Nanny, to a receptionist to slowly climbing the corporate ladder. Today, in addition to working full-time, Kelly Ilebode is also a Self-Published Author, and has successfully accomplished to write five publications in less than 18 months. In this interview we get to take a closer look at her inner workings as I ask questions about what inspires her to write these soul full, imaginative and wonderful stories. Anita: How did you discover writing or did it find you? Kelly: Writing definitely found me, and quite honestly the second I learned to write I wrote and wrote and wrote. The “real” writing started when I was nine. My foster-mother gave me a note pad, and I filled the pages. Several days later, I asked for another one. After reprimanding me, for wasting paper, I quietly handed her my filled notepad. I remember her reading the whole pad in one sitting, and just as quietly handed me another one. The notepads eventually turned into journals filled to the brim with poetry and short stories. I never thought of writing as a career, just something I did when I needed to release what ever was building up inside of me. Anita: What inspires you to write? Kelly: I have no earthly idea. My latest novel, was supposed to be a sweet romance story, but the moment I sat down and started typing, it has taken quite the turn, that even I cannot wait to find out what happens next. What I do know for sure, is that when I do not write, I feel something building inside of me that is not necessarily good. (Hard to explain.) Sometimes I wake up at 3:00 am (that happened a lot when I wrote Kelly and the Angel.) I could not go back to sleep, until I wrote what ever it was that needed to come out. The next day, I was always surprised when the words made sense and fit into the book. Anita: Our first project together was The Birth of the Sparrow from the Kelly and the Angel series. Being that Kelly is a modern-day prophet, and is someone who sees the future while in a trance. We are curious and all want to know if the main character Kelly is based on you? Kelly: Yes and no. Kelly, absolutely, looks nothing like me, her personality is part of who I used to be but I am not a seer or prophet. That being said, I have had some uniquely strange (and what I think were spiritual) things happen in my lifetime that I cannot discredit. To give a quick example, there was one particular event that happened in my life that was quite horrifying, and after years of the life I had already lived, I was tired and I was only fourteen. I was all alone on a dirt road walking back to my foster home, and talking to myself asking what was the point in this life if all it was pain and abuse. One moment I was alone, the next I wasn’t. The stranger, a man, walked beside me, said my name, and told me not to give up hope. That my life had purpose and meaning and I was important. As we reached the top of the hill in the road, he was no longer with me, but I was a different person. I had hope again and to this day (over 30 years later) I remember him clearly: his features, his smile, his voice and especially his eyes. Years later I opened a gift shop and called it Kelly and the Angel after that brief moment in time. When I wrote the Birth of the Sparrow, I named it the same as an homage to “him”. About Anita B. Carroll: Race-Point was established by the creative hands of Norwegian born Anita B. Carroll, Race-Point is a Visual Design provider with over 17 years of creative professional experience, and produces high-end quality cover creations for both print and online mediums including custom photography. Several seconds later, his eyebrows were in place and he looked comical. Snapping a couple of pictures I texted a few and of course placed one on Face book. I could not wait for my kids to get home from school. I was not disappointed as I watched my thirteen-year-old son laugh aloud…. “Mom, that is so great!! !” Grinning back, I beamed. Sitting stoically, with her arms crossed, my nine year old daughter obviously did not find it funny. I knew she would change her mind, when she saw them face to face. WRONG! Turning she huffed into the kitchen still carrying Matrix, while Sedona followed close on her heels shooting me that doggy look of “I told you so” before disappearing around the corner. It was tiny, but to a small five-year-old girl, it was huge and the most beautiful thing she had ever seen in her life and the best part - it was hers. Her mom even told her so. Before today, she had not even known what a suitcase was. Reaching out eagerly, she ran her hand along the silver band that wrapped around the edge, touching the latches that were firmly closed. They were shiny and felt cool to the touch. She wanted to see inside. “Can I open it, Mommy?” Not getting a response, her small face turned, surprised to see her mom crying. Choked with emotion, unable to speak, the mother nodded her head, watching as the five year old eagerly opened the little blue suitcase. The year was 1972. Many of my childhood memories are faded and some completely gone, but I remember that day, forty years ago, as if it was yesterday. It is strange how our mind does that, picking and choosing what we are to remember and see in our minds eye. I recall watching curiously and, I have to admit, excitedly at the time, as my mother placed inside two pairs of pants, two shirts and underwear. Every item was new. I was the seventh child born out of ten. I never had “new” before. I could tell, but did not understand why, that beautiful suitcase was causing her so much sadness and pain. Even when she sat my sister and I down on the bed, explaining that we would need to leave for a little while, but promising that she would get us back and that someday we would be a family again. My five year old mind couldn’t comprehend or understand her words but I nodded my head as I stroked the soft blue box. Leading us both outside she walked us halfway to the car, before turning to run back into the house. A kind woman then took us and gently steered us to the waiting car. We sat in the back with each of our suitcases propped up next to us, the silence broken by my older sister crying next to me. I felt panic start to rise as comprehension finally dawned inside of me forcing me to face this new reality. Scrambling to my knees, I looked out of the back window as we slowly drove away from the only home and family we had ever known. I did not cry until I saw my brother, who was trying to run after us. He looked so sad. I wanted him to feel better, so I waved until I could no longer see him. After driving for a very long time, we arrived in Jackman, Maine, at what would be for my sister and me, the firsts of four foster homes. Hopping out, I grabbed my little blue suitcase, clutching it in my tiny hands as new people approached, the woman turned to the social worker asking where the “rest of the stuff” was before looking in horror at my tiny case when she was told that that was it. I remember not liking the look on her face, and once where there was joy at my “new” items, I now felt a new emotion flood through me. I felt shame. This was all I had and it was obvious to me, even at five, it was not enough. I am not sure how long I sat there, holding the suitcase but there was a shift in me that I cannot even begin to describe. I realized in a flash, that I had unknowingly defined my life by that piece of luggage. Jacob Marley had nothing on me, with all of his clashing and clanging chains, I had a 16”x12”x5” box, weighing me down and Lord, it was heavy. That was my reality check. A stinking, little, blue, freaking suitcase caused me to stop, pause, and ask my self “is this all there is to life?” Walking down to the basement before I had this moment, and walking back up from the basement after this moment, I had literally become a different person. Just like Ebenezer Scrooge, seeing the ghost of Christmas past, my moment brought the realization crashing down on me, that I was a product of “never having quite enough stuff”. I allowed someone else’s expectations and words dictate to me, who I was and who I was to become because that is how THEY perceived me. In this case - I had nothing so I was nothing. The worst part, I allowed this thought process to continue my whole life in almost every aspect of who I was to become, even my dreams of who I wanted to be. Nothing was as glaringly poignant as my mind’s eye once again brought me back to that day in high school when a teacher (who I adored) wrote on one of my essays “this is good, but we know you will never become a writer.” I believed what she wrote and I stopped writing. After “finding” that suitcase again, I was so angry for so many months. Angry at myself for what I considered “wasted years.” Seriously?!?! ENOUGH! The funny thing about epiphanies is, when you know you need to change, you quickly realize - change is hard work and there are many people who do not want you to change. It took me another eight years to sort out my life into some semblance of order by getting rid of toxic relationships, and figuring out this new me. I stepped out of my box and I opened a store, (it failed and still paying a high price for that one.) The difference being, that I would not allow that failure to define who I was as I had in the past. I took the many lessons I learned and allowed them to make me stronger. Through my process of healing, I wrote, and wrote, and wrote some more. I filled journals with poetry and short stories. I wrote manuscripts. Some of my work - absolute crap, but some of it I knew, in my heart, was really good. I did not care either way – it was mine! I wrote because I embraced who I was and I had finally given myself permission and allowed myself to be who I was. Every pent up word that had been clamoring to get out of my head that had been stifled for years, flowed out of me. Through my writing and acknowledgement of my past - I have found a comforting peace I had never experienced before. I started to tell my story and through every imperfection, through every moment of pain and dysfunction that makes up me - I started to see a change happen in other people. Not to everyone, but to some, and that is all the difference that matters. Life is hard. Life is complicated. Life is terrifying. Life is a beautiful thing. It is no secret that Mother Theresa is one of my hero’s. I am always humbled by reading of her work with the poor. (Not just poor financially, but poor in spirit). To me, she embodied all that was good inside of her, yet, for all of her good works and deeds, many times she felt that she was never doing enough even though through one person at a time her touch eventually reached thousands across the world. Mother did not start out her mission by expecting to help thousands - only the one that was in front of her at the time. To that one – it was enough. Can it be so wrong to want more for others than ourselves? To become a better person than whom we were the day before takes courage to ignore the critics and the naysayers and make a difference. It takes perseverance and it starts with one selfless act. It takes you. We all were born with a special gift and have the capability and responsibility of making a difference in our small world with that gift. If everyone, did one act of kindness just by using our gift, just think of the positive change we could all make collectively. Mother Teresa – Lived a life of poverty, working tirelessly to help others. Her compassion towards humanity inspired thousands she came in contact with. Ryan Hrelijac – Starting at 6 years old he began by saving his allowance until he could raise enough money to build his first well at the Anglo School in northern Uganda. Over 500 wells have been built through the foundation Ryan’s Wells. Yacouba Sawadogo – “The Man who stopped the desert” A farmer who decided to stop the desert from spreading, by reviving an ancient farming technique called zai which led to the forest re-growing. Ava Lowery – Created flash animations protesting the Iraq War. Now, 19, she runs website Peace Takes Courage, where she posts videos and blogs about ending violence. Zach Bonner – an advocate for homeless youth has made and distributed over 6000 backpacks to homeless youth filled with food, hygiene kits and other items. He created Little Red Wagon Foundation. Leo McCarthy – After his 14-year-old daughter was killed by a drunk driver as she walked down the sidewalk - he started a foundation called ‘Mariah’s Challenge’ and began speaking to the youth about drinking and driving. I am in love and I can't help but scream it loudly! This love has consumed me for hours over the past several days. Is it a man? Is it an animal? Absolutely NOT! It is a website. May the sun shine and the clouds stay parted.......I have stumbled across Goodreads.com! I found these three words, which had been written down on a tiny scrap of paper, hidden under items tossed on top of it. I do not remember the time I wrote the words down, but there they were, in my own handwriting, written in pencil. I am not sure who said them or why. I write words down all of the time that strike me at particular moments in my day. Sometimes, I hear someone say something on T.V. or read a quote or a line in a book and if it moves me I say the sentence over and over again in my head until I can find a pen or in this case a pencil. Once it is written, I have no specific place I put it. In this particular case, I obviously had placed it on my fireplace mantle. I do know, it must have been a long time ago, because my mantle was a jumble of junk and had not been cleaned in many, many months. These words stood out to me today because, for whatever reason, I put quotes around them. It did not say, I see you – it said, “I see you” as if someone or something was speaking to me directly. In my quirky mind, it was serendipitous. I had not started my day in a very good place mentally and seconds before had even felt alone, and quite honestly, a bit sorry for myself. “I see you” came at a time that I wanted – no - needed to be seen. My original intention for the day was to work on completing my third novel, as the deadline looms closer and I am still a ways from being done. Instead, because of my mental state, I had decided to clean my mantle. Three words, in my handwriting, gave me comfort. Through that comfort, I was able to see past my own fears, and started to think of others around me. Having been seen - I was able to see - and I did not feel quite as alone. I see you as you struggle financially. I know what it feels like to have that crushing panic deep in your chest, knowing that the mortgage, rent, water, electric, car, medical or whatever the bill is, needs to be paid (last week) and you can’t cover it. You work your tail off everyday and it never seems to be enough. “I see you” in your struggle. I am there also. Maybe you, your family member or someone you know has cancer or has had a debilitating illness. You ride the wave of uncertainty, not sure which shore you or they will land on, hoping and praying that you land on sand, and not jagged rocks. Because we are human, you, like me, are overcome, at times, with feelings of aloneness and inadequacies - even as you are surrounded by people. Maybe, you are going through a broken relationship, or a divorce. Your whole world seems turned upside down, and you no longer can see your future the way you did yesterday. These are such a tiny list of the crisis’s that surround us each and every day of our lives. I certainly do not make light of any of the problems we face. I do not know if things will get any better for any of us, but maybe that is the whole point of living – to learn through mistakes and try not to make the same ones again. To stand strong doing moments, when you really do not think you have any strength left in you. To accept the situations that come into your life, that you have zero control over. To relax and follow the current, accepting the direction you are being taken, knowing that somewhere (or at least hoping), someone is in control and will guide you when the time is right. What has given me a tiny bit of solace and of which I was able to be reminded of, is that we are not alone, you and I. We are all connected to each other, and truly, walking the same path side by side. “I see you.” You have value and merit and have so much you can give to life and other people. You are no accident and are a far greater person than your problems, for your problems do not define who you are, how you react to those problems do. Think back and try to remember one moment in your life, when there was that feeling of ‘something’ that you felt inside of you, because something was about to happen that you felt seemed impossible. Remember that flash of hope, that feeling of “is this really going to happen”. (If you have lived in the Boston area, the Red Sox finally winning the World Series, easily comes to my mind). Now, imagine, being twelve or thirteen years old and not only having that feeling of hope but also realizing that that you are the only ones to determine the outcome of that dream. I imagine that this is what David felt in meeting Goliath. I am not going to lie to you, and as I write this, I am not going to pretend that I am unaffected. I want this young team’s dream of having an undefeated season to be a reality. I want it, not because I have a son that plays on the team. That would be too easy of a want. I want it for them, for the simple reason that the odds have been stacked against them. They are and have been the underdogs, yet, they are still winning. Collectively, the Cheverus team is made up of the most diverse players, culturally, in their league. Just looking at their young faces, of many colors, you can see the hope, the expectation and if I were to be honest, a little bit of fear and trepidation. As a team from Malden, sometimes they have been put down verbally; they have been called names that I refuse to put onto paper, but have heard with my own ears. Maldonian’s may be different, we may be unique, but we are a proud group. Underneath it all, we are no different from anyone else. We are a city filled with good, hardworking, culturally diverse people. We are better than what many say we are. Teams based in Malden have the potential to win, just like any other team. What does set us apart at times is that collectively these Malden teams persevere through the good, bad and the ugly. Even more importantly, the young athletes never give up. Our children are not born with these qualities, but have learned over time from the positive role models and the people they have, in their lives, on a daily basis. 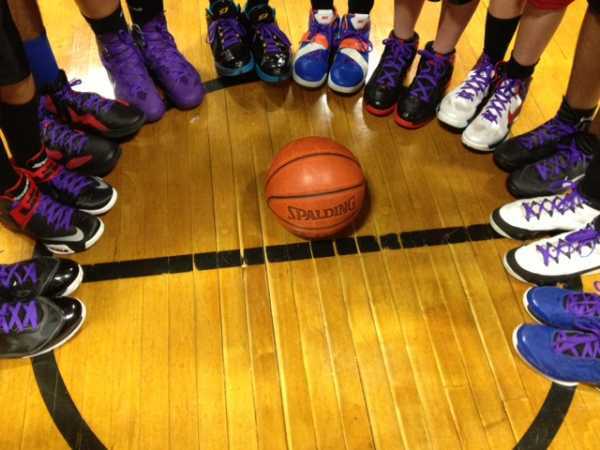 Where does this tiny Cheverus basketball team stand to date since I last wrote about them? They have continued to win their games and last night (Thursday) they played against St. Patrick’s of Stoneham in Medford. Once again, they won. This tiny, scrappy team, still, is beating the odds and the Cheverus Cardinals have officially clinched the CYO league for the first time in school history. The Cardinals have joined an elite group, as only two teams have been in this position in the past twenty years - St. Agnes of Arlington and Cathedral of Boston. If you are not able to attend the game, but can write a small comment showing your support or pass along their story through Facebook, Twitter or email asking your friends to do the same – I believe all of that positive energy and well wishes will reach them and be felt. I stated in my first article, I believe that this young team’s miracle has already happened, because they continually exhibit strength of character and perseverance both off and on the basketball court. I still believe what I wrote - yet, right now, I am believing in a little bit more. Ok, I breathe, as I head downstairs to make the coffee, today is Sunday. A day of rest. Mentally giving myself a pep talk, I actually start to feel better as I scoop the grinds into the pot, whilst the two dogs prance around at my feet. Today could actually be a great day, I think to myself leaning against the refrigerator, while inhaling the delicious aroma and listening to the happy perking sounds of my saving grace, dribbling into the coffee pot. Oh No! Dribbling!!! I Eyes quickly scanning the kitchen I catch sight of the one with the lower intelligence, leg lifted, trying to look everywhere but at me. Dammit, I forgot to take the dogs out. Clapping my hands in a ridiculous attempt at stopping the flow streaming from his tiny body, I ran to grab the vinegar bottle to clean up the golden puddle now spreading across my hardwood floor. Glancing warily at the other one with the higher intelligence while trying to decide whether to clean up the now fast spreading urine or take her out to do her business. As if she could speak, Sedona sat down, blinking at me with her bright brown eyes as if to say, “I can wait, Mom. You can clean up the idiots mess first.” Oh, how I love her! Going down on hands and knees, I start to scrub the puddle as the coffee pot hisses and sputters letting me know that the liquid gold, that lifesaving java, is ready for my consumption. Plastering the biggest, fakest smile on my face, I headed up the stairs and back to bed. Superman you got nothing on me, cause I know when to quit! Glaring at the same pile that started this all, I shoved everything aside and crawled back into bed. Monday, my most dreaded day of the week, is looking pretty good to me right now.